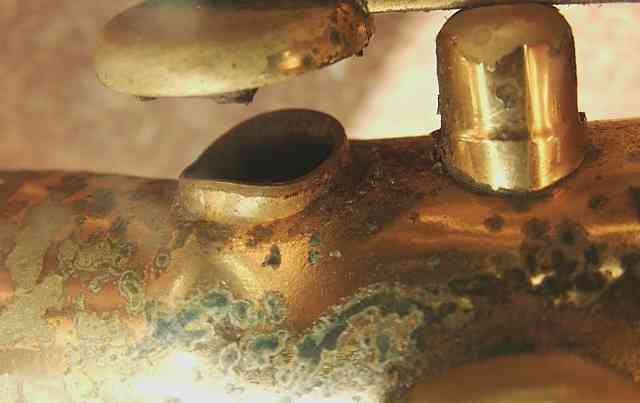 Tone hole repair on a Selmer Mark 6 Tenor Saxophone. 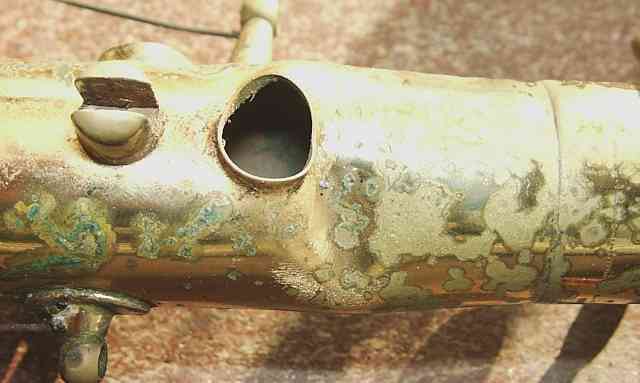 This sax have a big dent. But the owner love it, so it must be repaired ! You can see the damage on the top of the body (folded). The Eb Tone hole is seriously twisted. Disassemblinb Eb Key. As you can see the damages are Spectacular ! The damages. We can see where the body is folded. We must unsold the octave key because she's 'inside' the saxophone body. Saxophone body is placed on a adapted chuck. This is the part to be rectified. 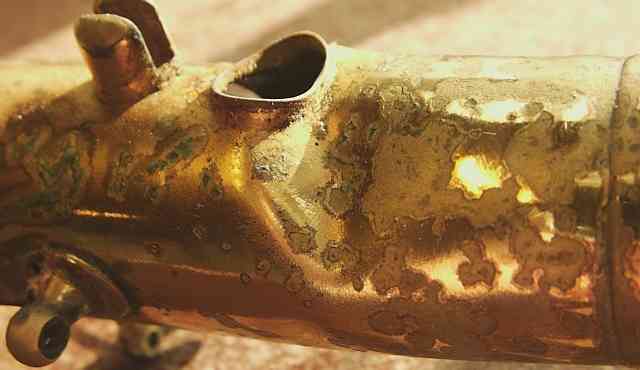 We must work slowly without 'hurting' brass. With differents Hammers and other tools, the body and the tone hole are slowly rectified. And later, tone hole and body are enterly rectified. Now we just need to re-assemble the body and bell, changing some very old pads. 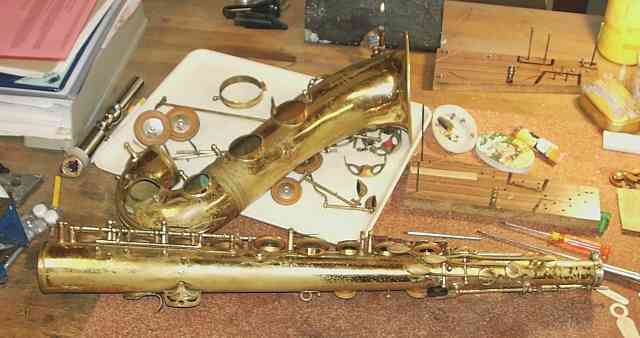 The saxophone, repaired, ready to be tested before delivering. Saxophone Saxophone Selmer Mark 6, serial 103178, made in 1962. Owned by Richard Thomas, Oslo, Norway.